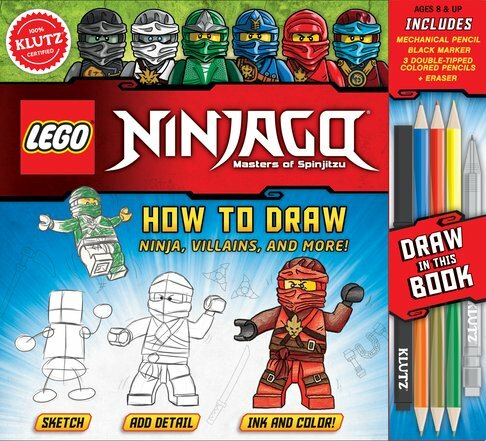 Buy LEGO® Ninjago®: How to Draw Ninja, Villains and More! Learn how to draw your favourite characters from the world of Ninjago®. Get started with beginner-friendly draw-in-the-blank pages, tracing activities, and easy inking and colouring practice sections, then advance to step-by-step instructions to draw each hero and villain from all of the Ninjago seasons. The book includes all the art materials you need to start right away!